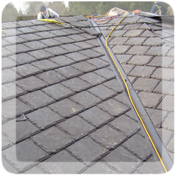 Are you looking for a roofing product that combines the durability of wood with the strength of concrete? Probyn Export distributes a wood/cement tile product that will give you the best of both worlds. Wood chips are mixed with concrete to produce roof tiles, making for easy install on the roof of your latest construction project. Probyn Export has also advised many different companies and created unique solutions and products suited to the local weather and building conditions. Interested in learning more? Contact our team today and tell us what you are looking for.